This bright clean dressing has a great citrus base and is especially good paired with greens and avocado – you can also use this to top a simple piece of sauteed Cod. In a blender or a small food processor, process the kumquats until they are pureed. With the machine running, add the oil in a slow steady stream to emulsify. Drizzle over greens and avocado or sauteed fish. 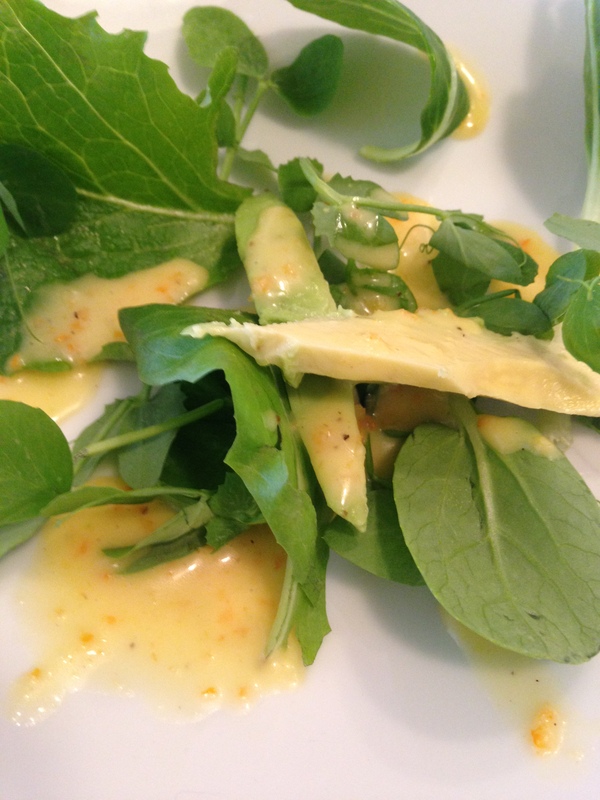 This entry was posted in Recipes and tagged Kumquat, Make ahead, salad, Salad Dressing, vinaigrette. Bookmark the permalink.